The line stretched from one end of the mall to the other. 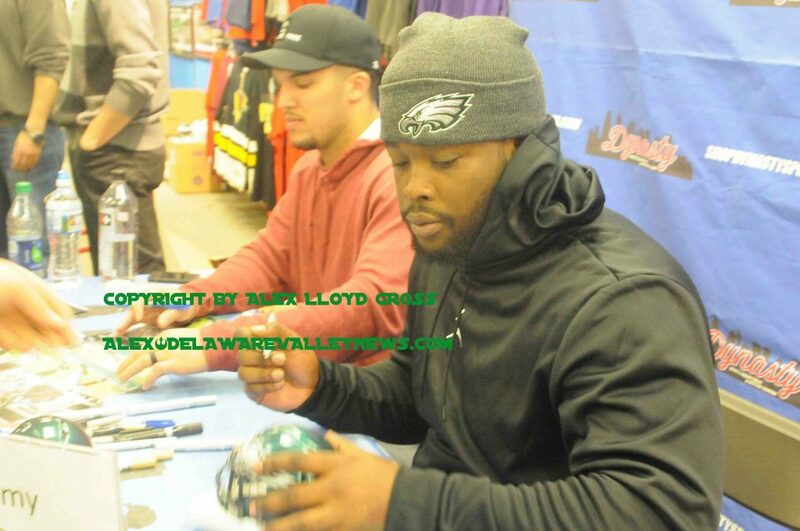 About 1000 people were inline to see Corey Clement, LeGarrette Blount, Trey Burton, Tim Jernigan, Vinny Curry and Rodney McLeod. 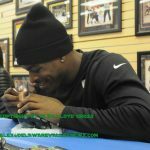 The players were paid to make an appearance at Dynasty Sports which is on the second floor of the mall. The fact that these guys will be playing in the Super Bowl next week was a factor in the crowd. 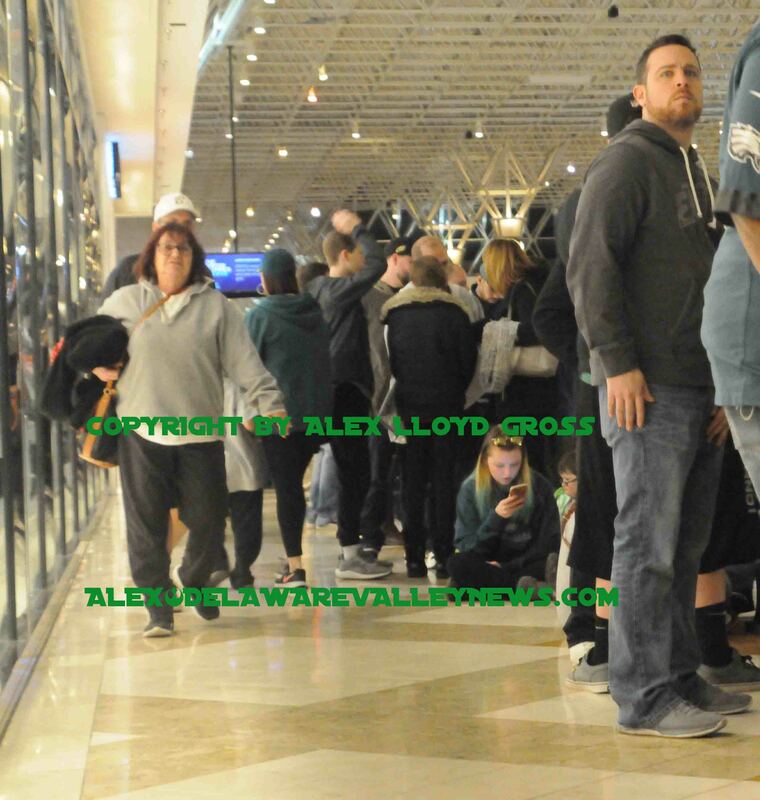 Alex Lloyd Gross Photo- Delaware Valley News.com Te line stretched across the mall. Many came early in the afternoon hoping to catch a glimpse of their favorite players They waited for hours. A the first players to arrive, Corey and Trey, they sat down and got right down to business. They signed a good number of helmets for the store and for collectors. The event was slated to kick off at 6:30 PM, but by 7:00 PM, all of the players had not yet arrived. However, the line was orderly, with people just hanging out for the wait to meet them. This week, players are able to make appearances until Sunday, January 28, 2018. Then, they board a private plane to fly them to Minneapolis- St. Paul International Airport, for an arrival about 3:30 PM. Once there, the team and players will be in accessible to fans, their schedule will be tightly controlled.